Windows 8 is due to launch on October 26, and technology watchers have been weighing in for over a year on whether Microsoft’s touch-centric launch screen revamp will be a success or failure. The company’s radical decision to embrace tablets and mobile computing could either pay dividends, or madden the hordes of Windows faithful. But here’s the thing: Microsoft wins either way. Microsoft has a behemoth of a business with Windows, unmatched in scale. Much of the tech industry’s focus these days may be on Android and Apple’s iOS, but Windows still dwarfs everything else on the market. Windows 8 and (possibly) Windows RT are going to bring Microsoft billions in revenue and be a dominating force in the tech world whether people like them — or not. Just how big is Windows? Windows is huge — although, remarkably, nobody really knows how huge. According to Net Market Share, last month Windows accounted for 91.7 percent of the desktop operating system market worldwide. Other estimates aren’t quite as one-sided, but they’re still overwhelming: W3Counter’s estimate had Windows accounting for 76.6 percent of desktop computing systems during September, while StatCounter put the figure at about 87.4 percent for the same period. These estimates are all based off Web browser usage — that means they’re indirect and most likely under-represent the number of systems actually out there running Windows. After all, tons of Windows computers — from servers to point-of-sales terminals to systems in hospitals and schools never connect to the Internet, or wouldn’t be represented in these numbers if they did. How many hundreds of millions of systems do these percentages represent? Again, nobody really knows — not even Microsoft, which sold and authorized the vast majority of them. But we can get an idea. 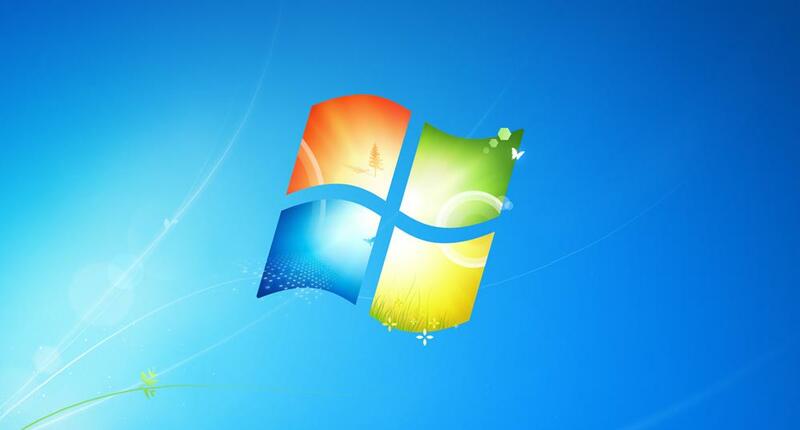 Leaving aside Windows Vista and the ever-popular Windows XP, Microsoft has essentially been selling 50 million licenses to Windows 7 every quarter since the operating system was introduced in mid-2009. Back in June, Microsoft revealed that it had sold 600 million Windows 7 licenses — enough to account for 39 percent of all Internet-connected devices worldwide. Let’s put that in perspective. Back in July during its financial conference call, Apple’s Peter Oppenheimer noted the company had activated a total of 410 million iOS devices — and that figure dates all the way back to the introduction of the original iPhone in 2007. In July, Google’s director of Android product management Hugo Bara announced the company had activated its 500 millionth Android device worldwide — and that figure dates back to October 2008. So, put another way, Windows 7 alone accounts for substantially more devices than Android or iOS, and has been on the market for less time. Of course, Android and iOS are continuing to see strong sales, but so is Windows 7 — Microsoft’s latest quarterly results are due today, and no one would be surprised to see the total for Windows 7 licenses hit 650 million. And that’s leaving aside all the other versions of Windows still out there in the wild — including Vista and XP — that still account for about half of Windows combined market share. In other words, even through current versions of Windows aren’t really competitors with iOS and Android, it’s fair to say Microsoft’s Windows empire spans more devices than Android and iOS combined. How will Windows 8 do? Few people expect Windows 8 to be a smash hit out of the gate, but that’s partly because few versions of Windows ever are. The sheer size of Windows installed base means that migrating to a new version of the operating system is a long-term process. Heck, Microsoft has succeeded in converting only about half its installed base to Windows 7 before Windows 8’s launch. Lots of factors play into that. Microsoft’s largest customers are institutions, governments, and enterprises. They have to plan their upgrades carefully and consider many factors, including security, compatibility, costs, and management — it’s not something they’re going to do overnight. Similarly, tons of consumers don’t upgrade right away. Maybe they bought a new PC in the last couple years and don’t see any need to upgrade from Windows 7 any time soon. But over the long term — measured in years, not fiscal quarters — Windows 8 is still going to be a cash cow for Microsoft. First of all, the PC market is still growing. IDC forecast the PC market will grow an average of 7.1 percent per year from 2013 through 2016, with some 450 million PCs shipping in 2015. Microsoft has pledged to update Windows more frequently than in the past, but it’s reasonable to assume Windows 8 will still be shipping in 2015, and the majority of those 450 million PCs shipped will have Windows on board. That may total up to more PCs sold in 2015 running Windows than Apple shipped iOS devices in the platform’s first four years. Some forecasts are less optimistic, but still see room for growth. J.P. Morgan forecasting growth as low as 0.1 percent for the year, while in June Gartner forecast PC shipments would grow 0.9 percent for the year. But both firms predict 2013 will pick up: J.P Morgan was looking at 4.5 percent growth for 2013, and Gartner was calling for 11.1 percent growth. At a very basic level, these forecasts mean that Microsoft could expect to see a significant uptick in the number of Windows licenses sells in the next few years even if it wasn’t launching Windows 8. True, those upticks won’t match the tremendous growth we’re witnessing in the smartphone and tablet markets, but they still represent one important thing to Microsoft: increased revenue. That still-growing PC market doesn’t represent the only source of revenue for the Windows platform. With Windows RT (and the new Surface devices) Microsoft wants to open a whole new channel for Windows revenue. Microsoft has taken some heat for classifying the Surface devices as an evolution of the PC — and even calling the iPad a PC where Apple prefers to think of a post-PC world. But in Microsoft’s eyes, selling a tablet — or a hybrid device — is just another way to sell Windows. Microsoft could well see a surge of initial Windows 8 sales fueled by Windows RT on its Surface devices. The company quickly sold out of pre-orders for its base model Surface device, which might (or might not) indicate significant consumer interest. However, Windows RT seems more likely to be a sleeper hit than a door-busting success. The devices target consumers, not current Windows customers, and even gadget fans will balk at plunking down a minimum of $499 for a device they haven’t seen or touched. Once, the devices launch, the only place to see or touch them will be by the grace of early buyers or several dozen Microsoft Stores (many of which are holiday-only “pop-up” locations that will go away in early 2013). It will take a while for Microsoft’s Surface devices to gain market momentum — although Windows RT may get a bit of a boost from a handful of OEMs bringing out Windows RT devices of their own for the holidays. 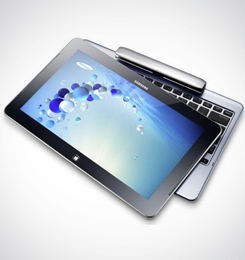 The 2012 holiday season will probably just be a flash in the pan for Windows tablets. The real story with Windows tablets will likely come in 2013 as both Microsoft’s Intel-based Surface devices with Windows 8 Pro start to ship — along with tablets from the likes of HP, Acer, Sony, Asus, Samsung, Dell, Lenovo, and other device makers. Check out Digital Trends’ roundup of upcoming Windows 8 tablets and hybrid tablets and note how few of them are going to be running Windows RT. Much of the appeal of these devices will be centered around Microsoft’s other cash cow: Microsoft Office. Intel-based Windows 8 devices will be touch-driven, able to run traditional Windows desktop apps, and support a reasonably full-featured version of the top productivity suite in the world. There have been rumors Microsoft is working on versions of Office for Android and iOS, but so far no other tablet can make that claim. Topeka Capital analyst Brian White forecasts that manufacture of Windows 8 tablets will actually ramp down in December 2012 (after the initial surge of consumer devices), saying companies in the Windows 8 supply chain are “overwhelmingly negative” about the operating system’s launch, warning of idle facilities at the end of the year. Conversely, suppliers expect Windows 8 to ramp up in the second half of 2013 as enterprises gradually get on board the Windows 8 bandwagon — most likely with tablets and hybrids running Windows 8 Pro rather than Windows RT. Market analysis firm Gartner also forecasts Windows 8 tablets will have a slow start in 2012, amounting to fewer than 4 million units for the year. However, Gartner believes 2013 will be much stronger, perhaps in the neighborhood of 20 million units. Windows 8 tablets would still be a distant third place to Android and iOS devices — but that’s 20 million more Windows devices that wouldn’t have sold otherwise — and every single one will put money in Microsoft’s pocket. Ignoring worldwide growth in the PC market, Gartner’s estimate could account for roughly a 10 percent increase in the number of Windows licenses Microsoft sells during 2013. Microsoft doesn’t need Windows RT or Windows tablets to continue to dominate computing with its Windows empire. Windows’ reach is immense, and Windows 7’s adoption has been both immense and steady despite a worldwide economic slowdown and an erosion in PC market growth thanks to smartphones and tablets. Microsoft could do almost nothing and be a major force in computing for several years to come. The primary reason Microsoft — and its investors — are so concerned about the Windows 8 launch is that the smartphone and tablet markets have experienced explosive growth in the last three years, propelling Apple to the most-valued company on the planet. Although Microsoft collects money from almost every Android device made, most of that growth represents a revenue opportunity that’s passed by Microsoft. After two years on the market, Microsoft’s Windows Phone platform has yet to see any significant adoption, even among Microsoft’s core enterprise and institutional customers. If Microsoft is going to take part in the mobile revolution — even at a distant third place — it almost has to be with Windows 8.